Film over het begin van de new wave/punk. 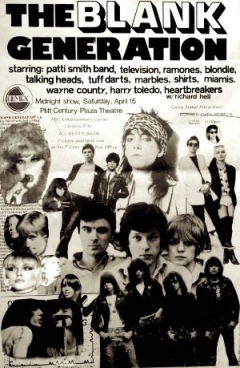 Toont onder meer optredens van Patti Smith, Blondie, Television, the Ramones en de Talking Heads. Deborah Harry, David Byrne, Richard Hell, Jay Dee Daugherty, Patti Smith, Lenny Kaye, Jerry Harrison, Chris Frantz, Jayne County, Chris Stein, Johnny Thunders, Blondie, Ivan Král, Richard Sohl, Talking Heads.